With a glorious, and unexpectedly good summer behind us, and the run-up to Christmas yet to begin, we wanted to treat our customers to some exciting new ranges as well as introducing additions to established favourites. 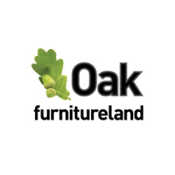 Read on to discover what’s new – and don’t forget to share how you’ve incorporated your new pieces into your home using #OakFurnitureland on Instagram and Twitter. If New York embodies inspirational art and design, then Brooklyn is surely its beating heart. 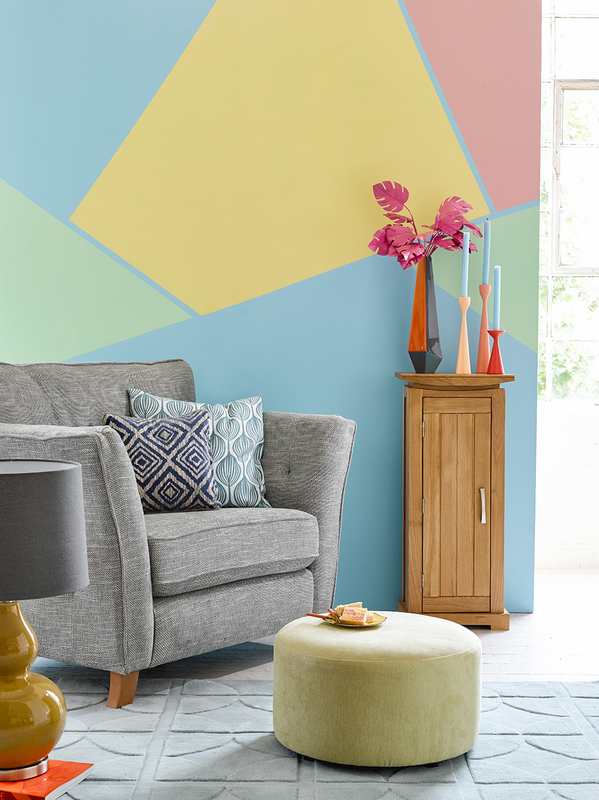 Our new Brooklyn range takes the cool sophistication of this vibrant, eclectic suburb and delivers it right into your home. 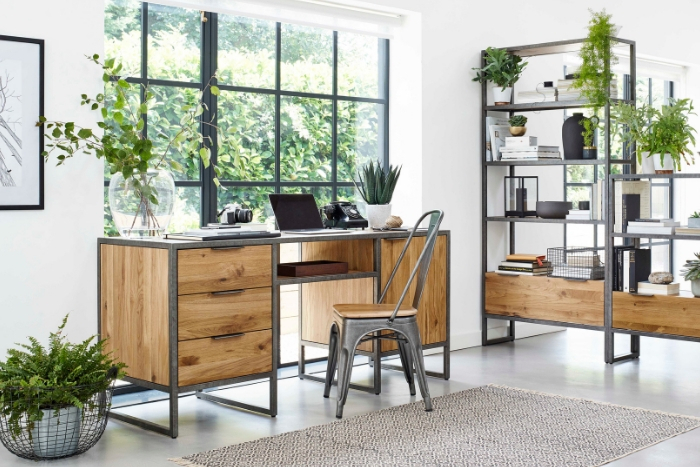 From the subtle dark ageing effect on the solid oak to the rustic industrial metal frames, this collection will suit those who love a bold, textured look, with a highly contemporary edge. Complete your loft-inspired scheme with some vintage upholstered chairs in deep, dramatic hues, factory style pendant lighting and oversized Lichtenstein-esque prints. For your bedroom, pair with neutral bedding and airy, floor-length curtains to soften the look. If you’re looking to add a dash of minimalist sophistication to your interiors, the new Shaker Range is a fabulous choice. With gorgeous clean lines and smooth white-painted surfaces, this collection is ideal for those who like an unadulterated feeling of space without feeling left out in the cold. The Shaker Range provides the perfect base for a variety of colour palettes and design styles. Keep it neutral with muted tones, soft textures and natural accents for a cohesive and calming bedroom feel. 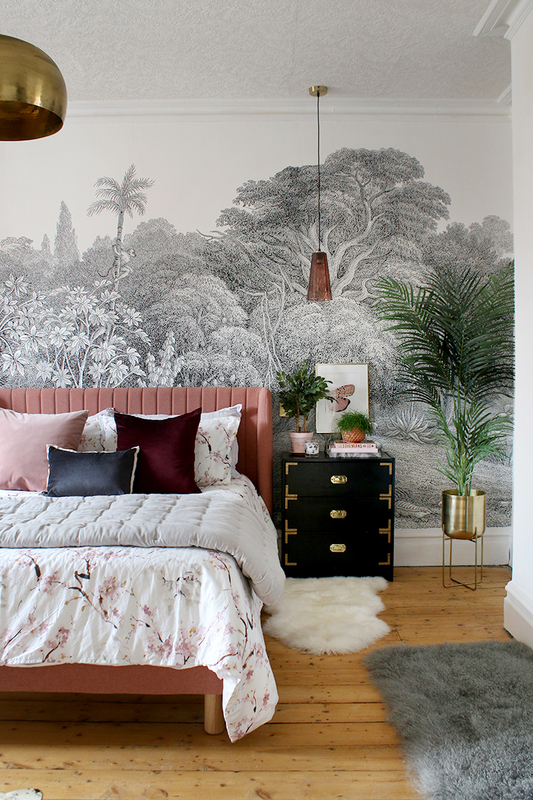 Or alternatively, add depth to your scheme with pops of colour, statement lighting such as an industrially inspired spider chandelier, graphic design prints and bold, flowering plants. Discover the Shaker range today. If you’re longing for a sofa that you can truly melt into, then look no further. This sumptuous Fraser left-hand corner sofa features a modern design with slim legs and low arms and is available in six gorgeous colours. Unrivalled comfort is assured by the range’s signature lumbar support detail, as well as complementary coordinated cushions. If you’re the kind of interior decorator that likes to create an impact, our new Hercules range is for you. From the gloriously grand display cabinet to the diminutive yet sturdy nest of tables, this range is guaranteed to make an impression. The range features satisfyingly thick oak tops with a subtle curve, allowing each piece to maintain a bold presence in the room, without being overbearing. 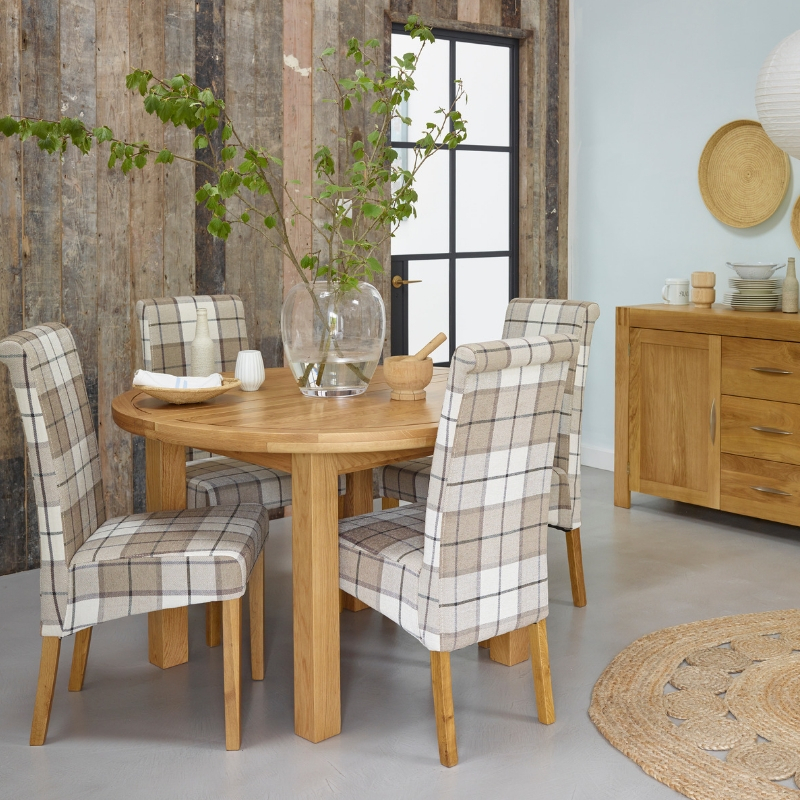 The Hercules solid oak collection looks great as an ensemble or teamed with any of our rustic oak furniture. Complete your look with a gorgeous soft grey fabric sofa, patterned rug and a statement table lamp or two. Need some inspiration for styling your nest of tables? Read our blog. 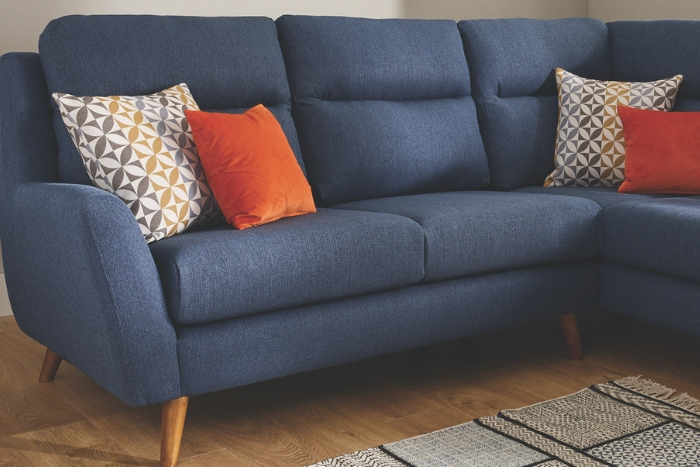 Available in four tempting colours, the Memphis left-hand corner sofa is your ticket to relaxation at the end of a busy day. Check out the flared and padded arms for the ideal nook to cosy up to with your beverage of choice. 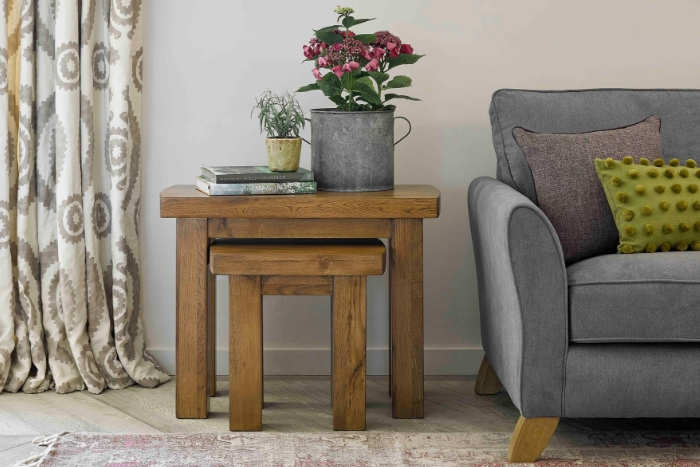 The solid hardwood oak feet provide lasting stability and blend beautifully with all our furniture ranges. And you needn’t sacrifice beautiful design detail for durability or comfort – take a look at the elegant button detailing on the luxurious seat backs. 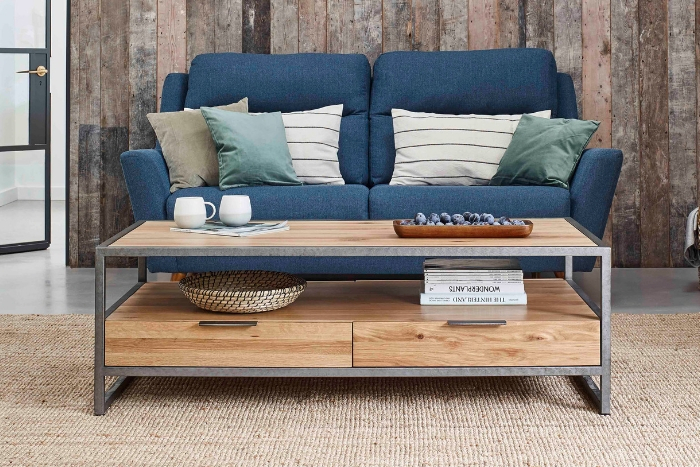 Have your chosen cuppa in easy reach by teaming with our Orick coffee table, and why not add a cosy throw to complete your sanctuary. 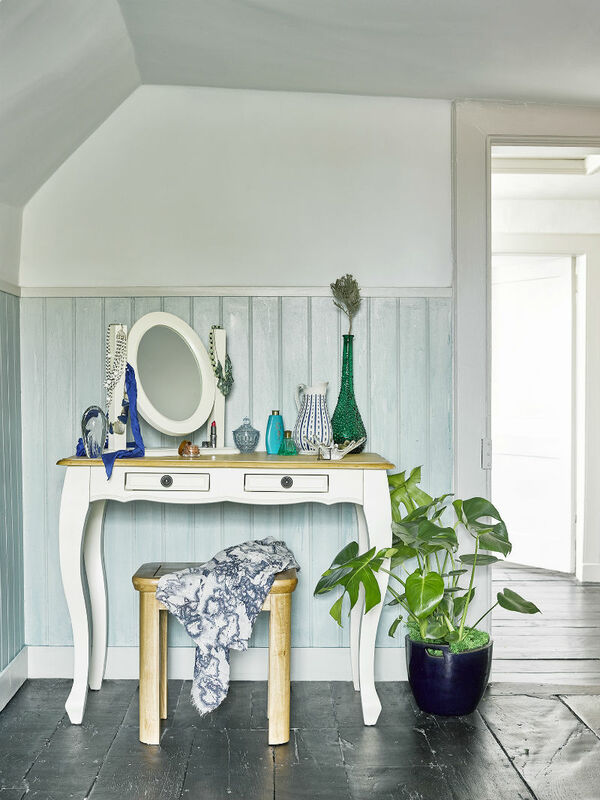 Make your hallway somewhere you will be proud to invite guests into with this Hallway Stand from our Canterbury Range. 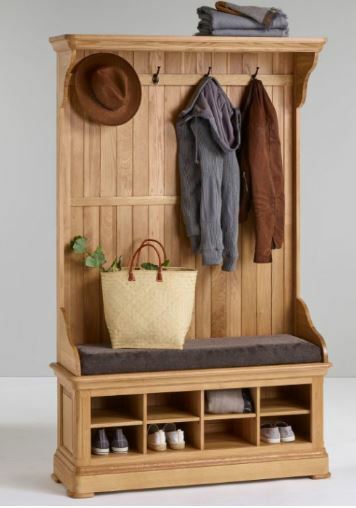 With ample storage space to stash bags, strong hooks to hang coats, hats and brollies and a comfy seat for slipping in and out of shoes, this robust yet elegant piece has got it covered. With eight spacious racks to stow shoes, there’s no excuse for your family not to keep this sometimes undervalued area of your home clean, clear and tidy. A formal dining range needn’t be cool and unwelcoming. 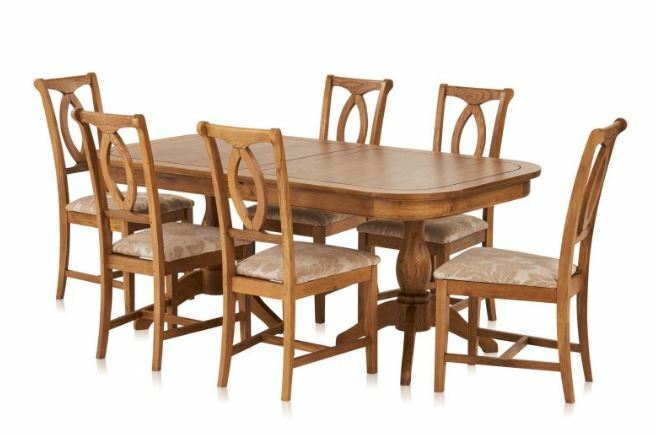 This extending dining table and chairs from our popular Crawford Range brings a delightful elegance to any dining room. Comfortably seating up to ten people, when required, this solid hardwood gem tucks away easily when you need more space. Once you’ve added some cosy ambience with our Detroit lamp, you can simply relax and get planning that menu. Visit our dining set builder to explore the different upholstery options available to you. 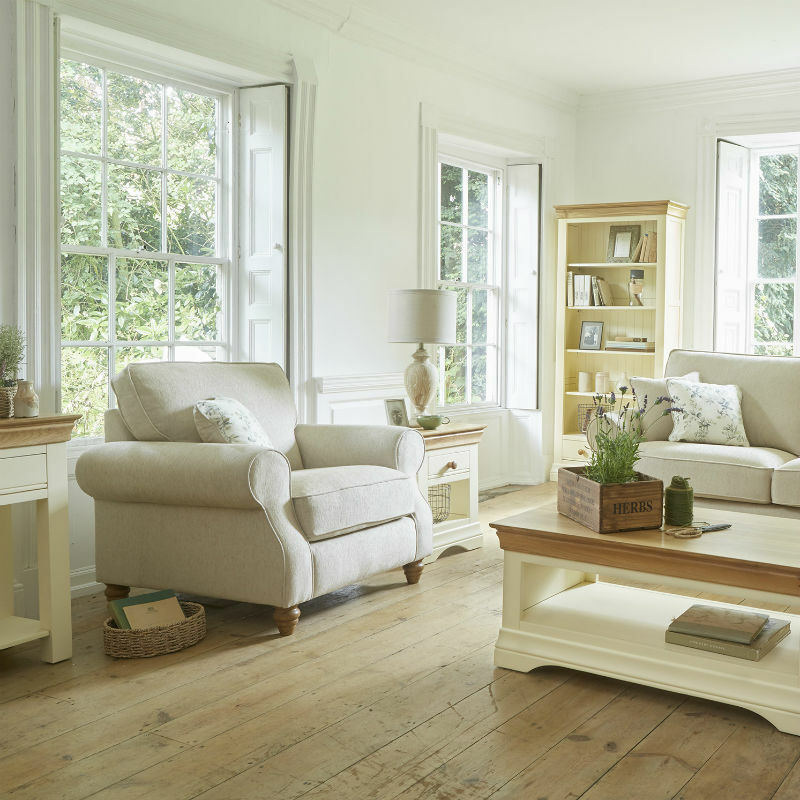 If you’re a fan of our French Farmhouse furniture you’ll love our new Arlette Range. Smart and smoothly painted, it is ideal for those whose tastes are rooted in the traditional but love the freshness and vigour of contemporary design. 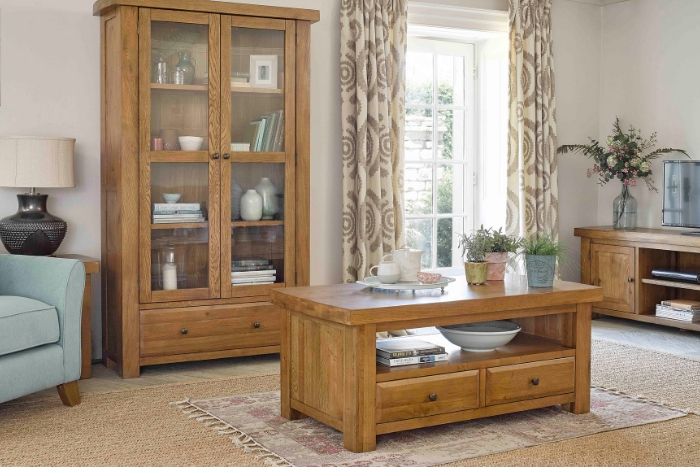 The range features decorative cornices, arched bases and an elegant panelled detail – all in the highest quality solid hardwood oak that you’ve come to expect. All drawers are finished with real dovetail joints so you know your pieces will stand the test of time. 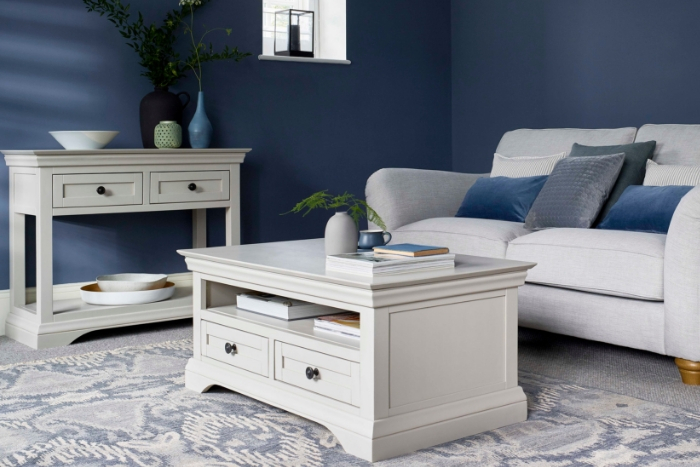 The gorgeous mid-tone grey paint is a great example of the enduring appeal of this neutral shade and looks wonderful with a wide variety of interior schemes. Complete your scheme with metallic accents and a patterned rug in deep blue or plum. Add texture with some tactile soft furnishings or a subtly gilded mirror. Shop the Arlette Range today. 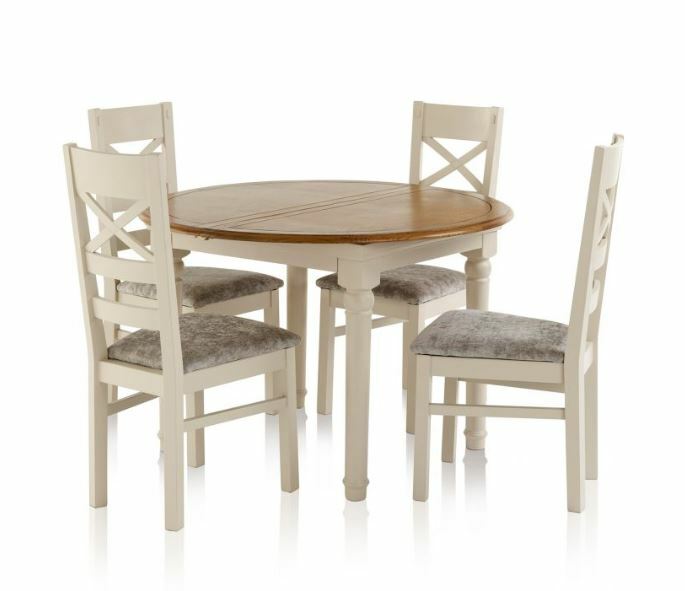 Our ever-popular Shay range goes from strength to strength with this extendable round table complete with four chairs. 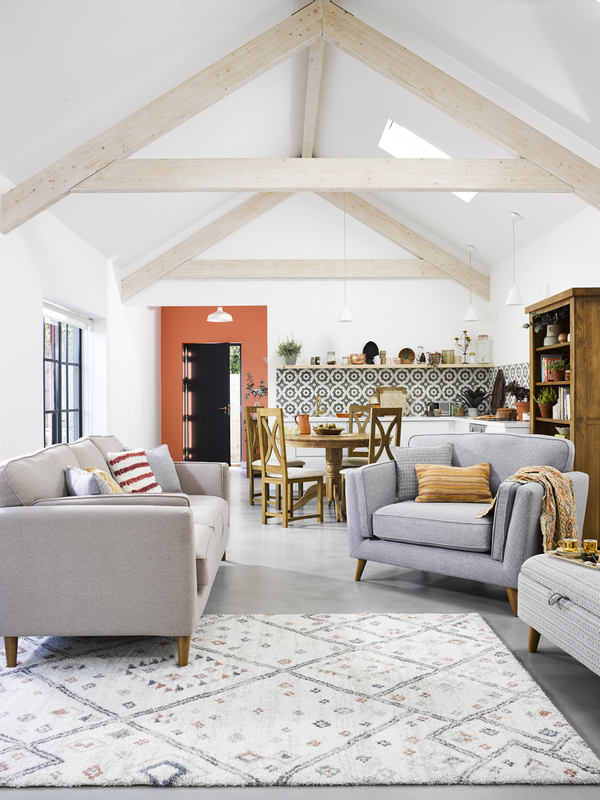 This lovely almond grey painted collection adds a wonderful lightness to both contemporary and traditional homes alike – a truly elegant way of bringing the sunshine into your home. When you’re finished imagining the cosy, communal meals you’ll enjoy around this gem, take a look at the gorgeously touchable truffle effect cushions on the matching dining chairs. We can’t guarantee you’ll be able to get your guests to leave! Looking for some inspiration for styling your Shay table? Read our blog. 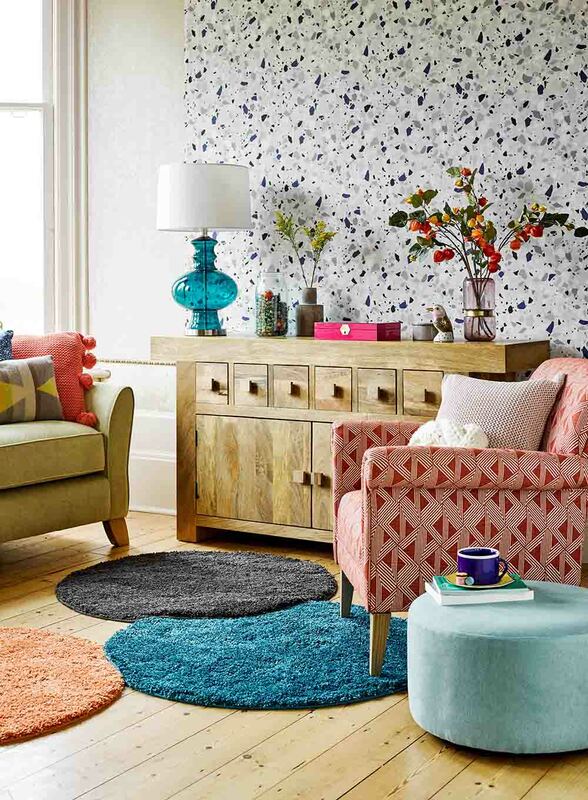 Want to know more about our latest ranges or looking for styling inspiration? 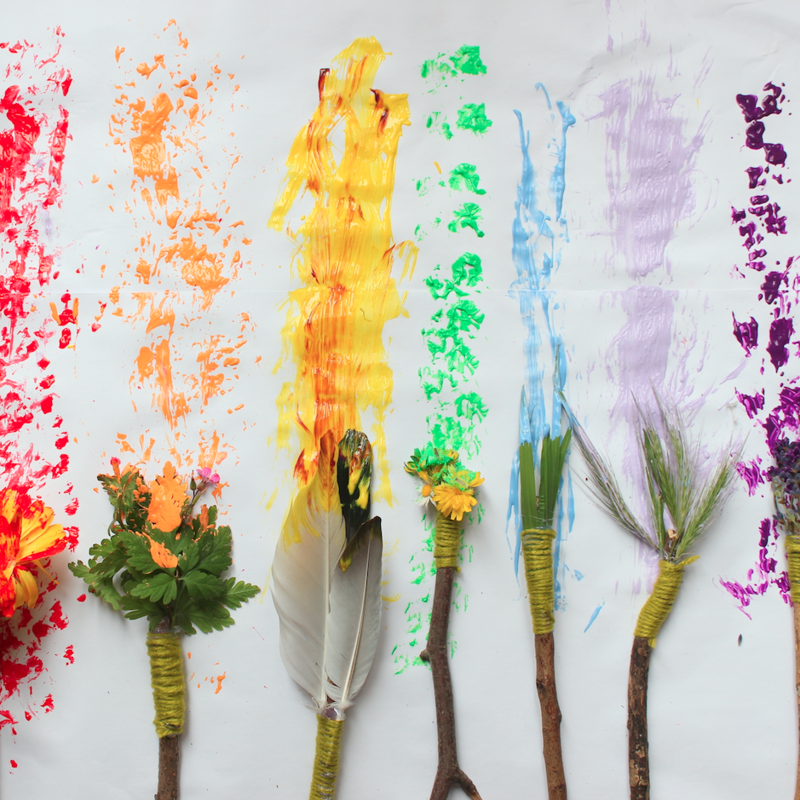 Make sure you’re signed up to our newsletter to be the first to find out about our special offers and updates.